Letterpress is a form of relief printing that was common for 500 years. Its printed form is both tactile and unique. You can print one offs using single or multiple colours. 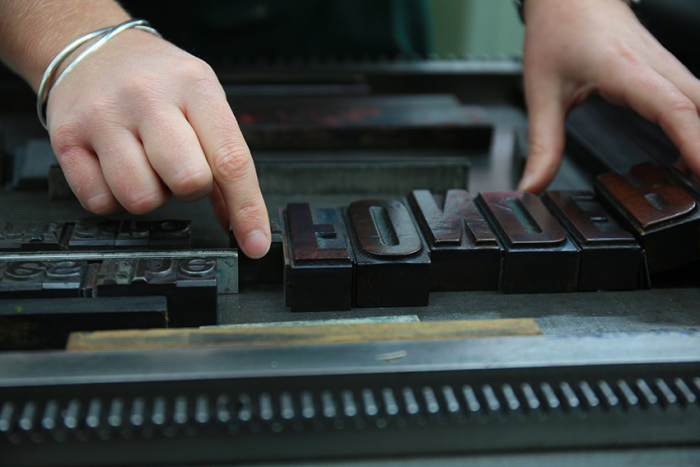 In this day workshop expert Nick Hand will give you a glimpse into this intriguing world and show you how to work and compose lead and wood type. And print it of course!